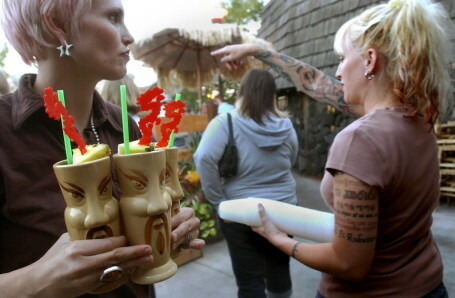 LOL/OMG: Psycho Suzi's to take over Gabby's? 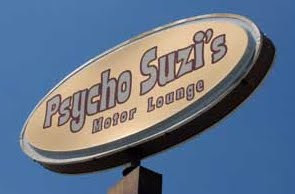 Rumors are afoot that Psycho Suzi's may be moving from its long-time spot on the fringe of Northeast down the street to the building that currently houses Gabby's Night Club. "...the Strib's Tom Horgen got at least one of the parties to confirm the story. Suzi's owner Leslie Bock said she has signed a purchase agreement while Gabby's owner said it was too early to comment and that Gabby's will continue to operate as usual until a deal is reached. If the move does go through, Suzi's killer patio would move to even more awesome riverfront digs." Horgen also quotes Bock as saying, "I will actually have natural features to work with this time, vs. creating a tropical paradise out of thin air and magic." Jamie Schumacher: even closer stumbling distance to home!!! Nancy Sartor: good news indeed. hopefully this will curb the repetitious public urination and disturbing the peace shenanigans that have plagued the neighborhood in recent years. Janella Fesenmaier: SWEET! Gabby's sucked!